Сайт писательницы Людмилы Губко » in English » Prayer to the Guardian Angel. Prayer to the Guardian Angel. Guardian Angel given to me by Heavenly Father, I address to You. My Angel, guard me in sorrow and joy. Don’t leave me in a difficult time of my life, give me your merciful hand, help me to overcome all trials of life, give me strength, confidence and belief in the best, in light, in good. My Guardian Angel, defend me from all evil, from misfortune and grief, from theft and deceit, from hoodoo and evil tongue. Guardian Angel, given to me by God, I ask You to help me to purify myself from my own wrong thoughts and words, from conduct that is not of God and direct my life to Light, Love, good and peace. In the Name of Almighty God, in the Name of Jesus Christ, I ask You, my Angel, my Guardian, don’t leave me in times of my illness, give me a belief in my recovery, be my faithful and strong defender. My Guardian Angel! I thank You and I bow down before You for Your love for me. I thank Heavenly Father, the Almighty God, for sending You to me, my defender and helper in my life. Glory to You, O Lord! Glory! Glory to the Holy Spirit! Glory! In the Name of the Father, Son, Holy Spirit and Divine Mother! Amen! 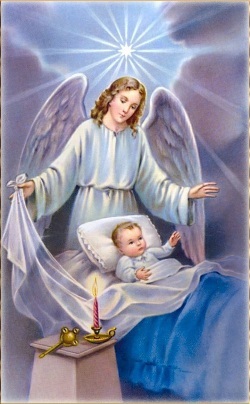 Prayer to the Guardian Angel for children. Guardian Angel given to my son (name) by Heavenly Father, I address to You. Guardian Angel, I ask You to guard my son (name) in sorrow and joy. Don’t leave him in a difficult time of his life, give him your merciful hand, help him to overcome all trials of life, give him strength, confidence and belief in the best, in light, in good. Guardian Angel, given by Almighty God, I ask You to defend my son from all evil, from misfortune and grief, from theft and deceit, from hoodoo and evil tongue. 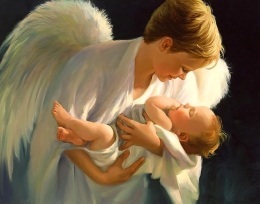 Guardian Angel, I ask You to help my son (name) to purify himself from his own wrong thoughts and words, from conduct that is not of God and direct his life to Light, Love, good and peace. In the Name of Almighty God, in the Name of Jesus Christ, I ask You, Guardian Angel, don’t leave my son (name) in times of his illness, give him a belief in recovery, be his faithful and strong defender. Guardian Angel, given by God to my son, I thank You and I bow down before You for Your love and help. I thank Heavenly Father, the Almighty God, for sending You to my son (name), to be his defender and helper. A New Fiery Teaching on the planet Earth. Проводы души в Мир иной на 40день. Вся информация на данном сайте охраняется Законом России "Об авторском праве и смежных правах". ПОЧЕМУ НЕЛЬЗЯ НОСИТЬ КРЕСТ РАСПЯТИЕ? «АСПИРИН КАРДИО» пить или не пить? ВСЯ ИНФОРМАЦИЯ НА ДАННОМ САЙТЕ ОХРАНЯЕТСЯ ЗАКОНОМ РОССИИ "Об авторском праве и смежных правах" Ст.24. © Губко Л.К. Копирование материала в корыстных целят преследуется Законом России. Разрешается использовать информацию для развития личного духовного роста. При копировании материала ссылка на сайт ОБЯЗАТЕЛЬНА.